The Back Warmer is a versatile garment. This heavy duty pad is designed for use under a standard stable or paddock cover, or by itself, for horses needing the benefits of Back on Track ceramic fiber therapy over the saddle and back area. 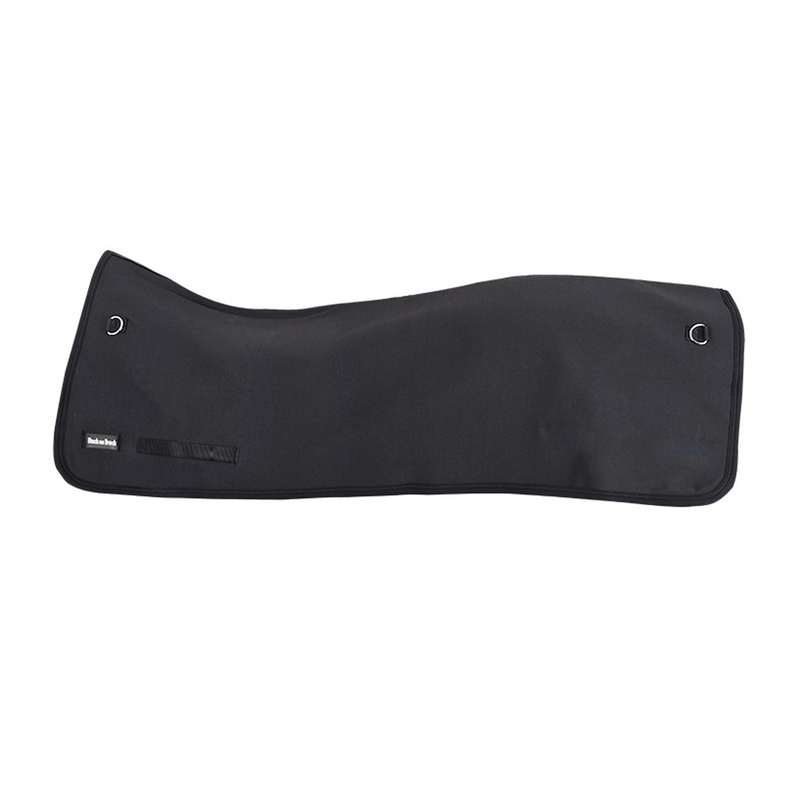 It is perfect for use pre-competition, pre-training, or overnight under your horses cover. Ideal for horses suffering muscle tension, tie-up, arthritic changes, saddle soreness or just general fatigue. It is attached by using the hook and loop strap along the centre of the garment, or by using the surcingle keepers. This is the perfect product if you have a large stable of horses, as it will fit horses of all sizes. There is a correlation between quality of movement and performance. Back flexibility is essential. When using pre-competition, ensure application at least two hours prior to competing. In this way your horses back will be loose and supple, and any stress or tension will be alleviated. Each stable should have at least one Back Warmer to take with them to competitions.